The Conference room floor plan helps you organize your business presentation. 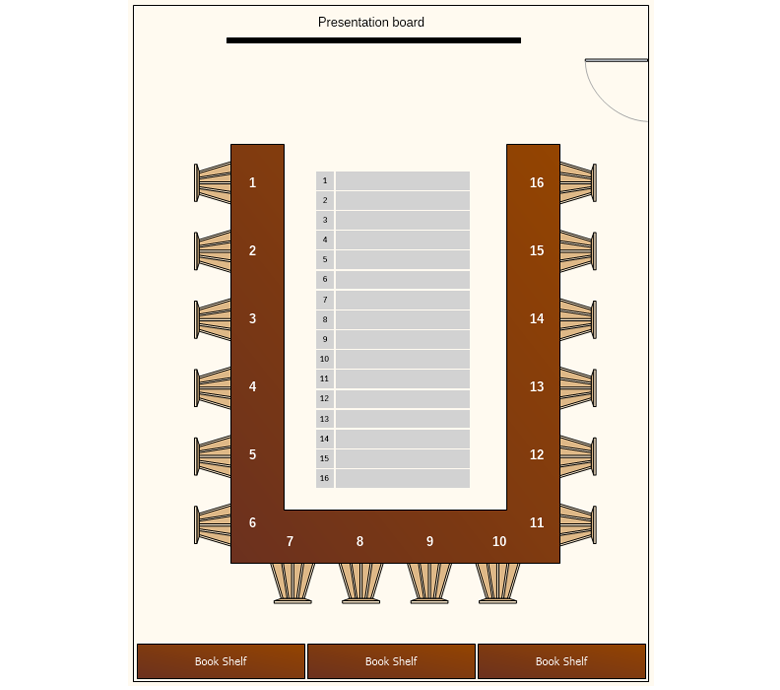 Download this free template and edit it in Nevron Draw by customizing the number of seats you would need and entering the names of the attendees. This way you would always be aware of each person’s name by quickly looking at this seating chart.